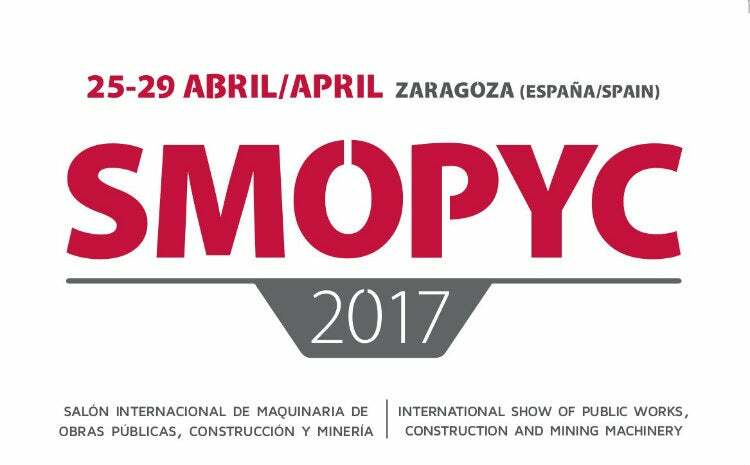 The XVII edition of SMOPyC 2017 will be held in Zaragoza from 25 to 29 April. Cintasa will participate in it with a 270m² stand in Hall 3. In our stand, the visitor can see part of our conveyors catalogue. For this year, the visitor will have the opportunity to see a tripper discharger which will be running on a TCL conveyor, which will be equipped with walkway through which the visitor can access up to a height of almost 4m. Together with this model, they will see physically our well-known TEB vertical conveyor. We also include in our stand a complete TUL conveyor, a very versatile model generally used in galleries or for long distance conveyor. Finally, we will show a wide-belt drive station that also includes its chute; wear steel plates, blade scrapers, inspection doors and a level sensor. In addition to the physical models, we will have some media through which the visitor can see different projects made by Cintasa, as well as technical documentation. Cintasa will present at this fair its new catalog, its renewed website and the opening and will know more about the opening of our office in the US. Our commercial team present at the fair, will be happy to assist you.